Price: - Rs.1800/- for 30 ml that I think is enough to last pretty long time. 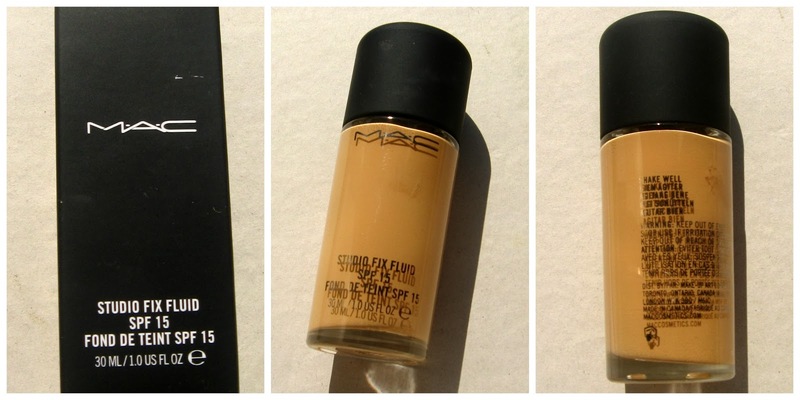 Mac claims: - A modern foundation that combines a natural matte finish and medium, buildable coverage with broad spectrum UVA/UVB SPF 15 protection. Applies, builds and blends easily and evenly. Comfortable and long-wearing, helps minimize the appearance of pores and imperfections, giving skin a smoother, more flawless look and finish. Coming to the packaging, the foundation comes in a pretty glass bottle with the name of the foundation and the brand printed in gold which is really classy. The bottle leads to broad mouth from which it is easy to pour out the foundation as much as you want to use. Although the smell of the foundation is bit weird but I can adjust with it as far as it gives full coverage, don’t worry the smell doesn't last long which is why you can give a shot. 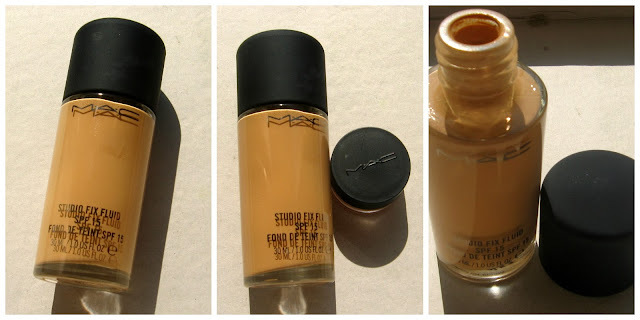 I brought mac studio fix powder plus foundation few months before these liquid one as at that time summer was there and I sweat a lot but now as winter is approaching and my skin started behaving dry so I think it is the best season to use liquid foundation and I was planning to try these studio fix foundation from last few months so I grab it. One good thing that the SA girl told me that this liquid although giving you full coverage it don’t control sweat which is why I didn't buy it on summer but now as season is changing I found this foundation working great on my skin. The amazing part of this foundation I feel, maybe I am the only person who saw these…but want to share with you all that the day I use this foundation after removing it on night, on the next day I found a natural glow on my skin…as I tried few samples of this foundation before buying the right shade for me, so I ask the SA girl of Mac the reason behind it who claims that “mac is a brand who never wrote the instruction of use on their products as they completely believe on their SA’s who are well trained from Mac.” , she told me that Mac do have some healing properties, which I think an awesome point and excuse to use this foundation. 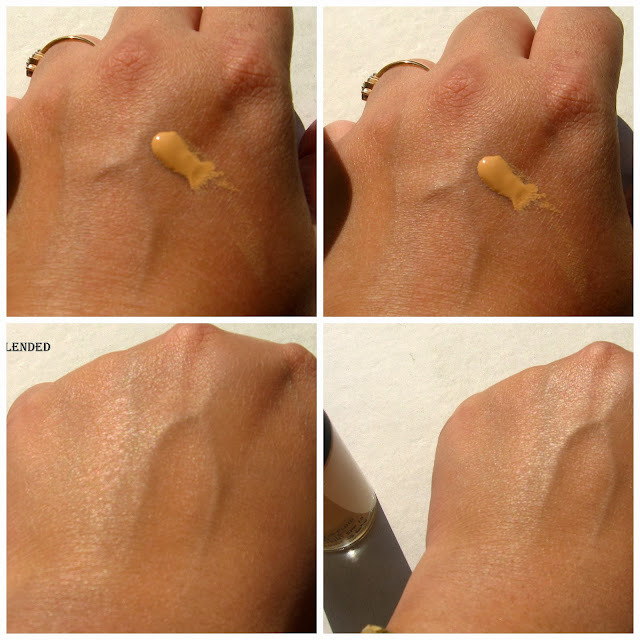 The foundation is little runny but at the same time you require very less for your face to get a full coverage. It stays more than 8 hours on my skin. And it smartly covers all my blemishes which is why when I apply blush on my cheeks, the shades totally pay off . Now coming to the pros and cons. • Hide all my blemishes. • Have healing properties which are good for skin glow I guess. • Wide variety of shades so easy to choose. 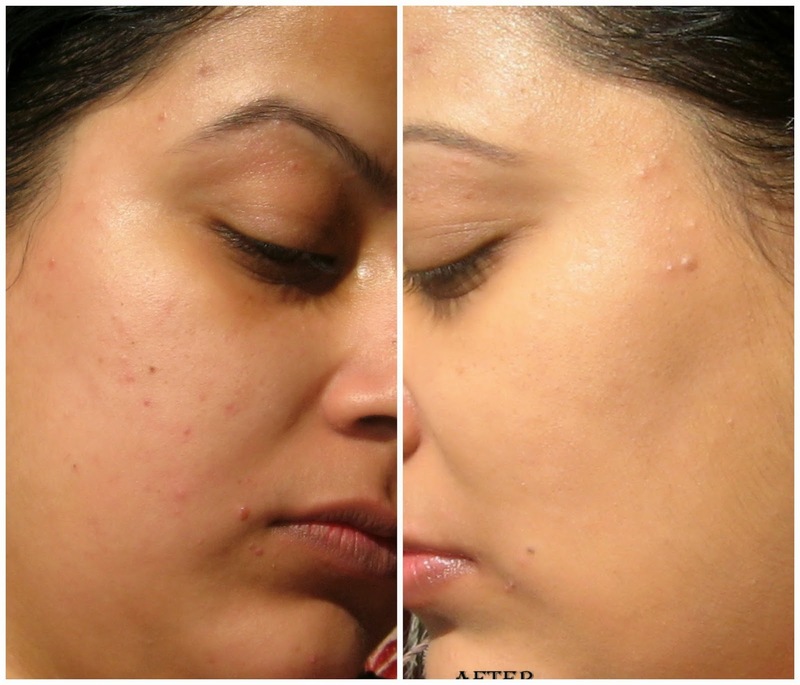 • Definitely control oils to some extent for oily skin beauties. • I wish it comes with a pump. • The shade concept of NC and NW are bit confusing. My rating: - 4/5 …yes, I am bias to this foundation as it gives me such a good coverage that I can happily accept all the con of this foundation. My recommendation: - definitely yes. But as it comes in wide variety of shades so before buying it do try out in store first. Okay, see you ladies with some other posts very soon…till then enjoy and don’t forget to leave your precious comment below! This looks great on you and I have heard great things about this foundation! I must try it out one of these months! Great review! Now if it only had a pump! thank you and yeah pump is available but one have to buy it separately from Mac :( so i skip that ! Seems like a great buy! awesome review! tempted to buy this!! I need one foundation and if you recommend it, my choice will be it for sure! Beautifully reviewed dear :). I have the Matchmaster from MAC but now I also wanna grab this one to my kitty ;). Great coverage and yes prefer pumps need to find out if it does more than coverage on the skin. I love my mac sculpt one. .would love to try this one.. I have it and love it! I have been using this foundation for so many years! I love it I just wish it came with a pump! Nicely reviewed. I have the studio sculpt which I use when I need heavier coverage. Price is not any issue for me and I actually prefer without the pump. I have issues on the amount I pump out and most of time, I tend to bring out more than needed, I shall buy this brand as my current foundation is gonna run out soon.